Malaika Bos and Ino BOB on sundays show! Malaika going BOB on saturdays show! Another successful show weekend! 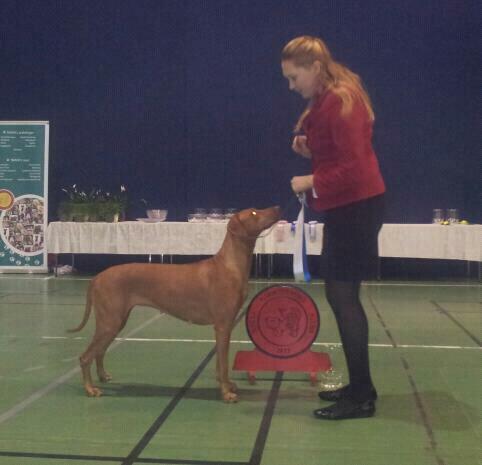 Saturday Ch Kangelani's Gentle Malaika became BOB and BOG!! Today, sunday, Ch Kangelani's Impressive Ino became BOB, BOG and BIS 3!! Malaika was awarded BOS today! 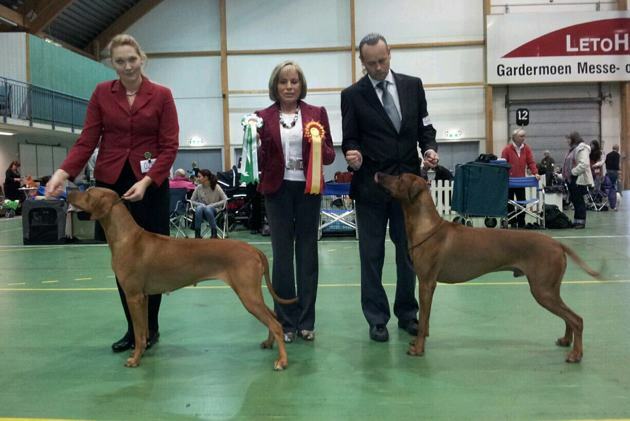 This means that Ino passed Thanzi at the Gold list and that he currently is the top winning ridgeback dog in Norway at teh moment closely followed by kennel rellie Thanzi :o)!